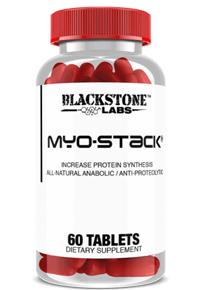 Home / New Arrivals / Blackstone Labs Myo Stack 60ct, BOGO Available!! Special Promo – buy 1, get 1 at 50% off on Blackstone Labs Myo Stack with free shipping!! Discount will show up in shopping cart when you select 2 or more items. This is for a limited time only!! Although Myo-Stack by Blackstone Labs appears to be the first product of its kind, you can expect many copycats in the near future. Do not be fooled. Myo-Stack’s release is great news for anyone wanting to increase lean muscle mass, decrease fat and improve performance. So bodybuilders, fitness enthusiasts, and athletes pay attention, the muscle-building breakthrough of the 21st century is here and the results being achieved by Myo-Stack has been phenomenal. Myo-Stack works to create the “perfect” muscle-building environment in the body, among other positive effects. The perfect conditions for creating the perfect muscle building environment include maintaining a positive nitrogen balance and increasing protein synthesis along with intelligent, consistent exercise and a balanced diet rich in protein. 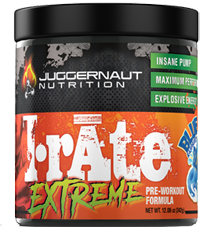 It’s long been understood that if the body was able to maintain the perfect anabolic environment, maximum muscle growth would occur. 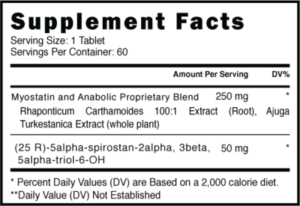 Myo-Stack enhances the rate of protein synthesis while simultaneously showing no side effects. Now with the release of Myo-Stack these amazing results can be achieved.